In "Advanced & Performance Driving" I explore not only the practical skills required by a good driver, but also the mental aspects of driving in a wide range of scenarios. 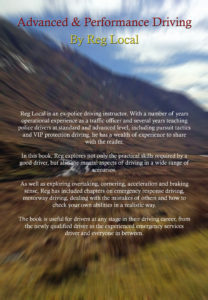 As well as exploring overtaking, cornering, acceleration and braking sense, I have included chapters on emergency response driving, motorway driving, dealing with the mistakes of others and how to check your own abilities in a realistic way. The book is useful for drivers at any stage in their driving career, from the newly qualified driver to the experienced emergency services driver and everyone in between. The book can be read on its own, or as part of a course of advanced instruction. It complements other driving manuals, especially the police driving manual - Roadcraft. 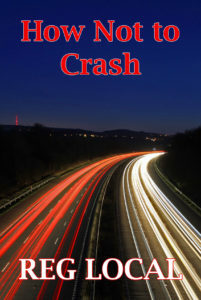 In "How Not to Crash, I examine the most common causes of accidents in the UK in detail and I share some practical advice on how to avoid making driving mistakes. I also give some sound advice on how to deal with other drivers’ mistakes and on how to spot and avoid potential accidents before they happen. This book is suitable for anyone, from newly-qualified drivers, through to experienced and well qualified advanced drivers. It is written in a straightforward, informative and humerous style and I introduce some easy concepts which anyone can adopt as part of their everyday driving. A fantastic book by a guy who's probably forgotten more about driving than most people ever knew. It is what it is; a collection of purpose-written posts from the PistonHeads forum's Advanced Driving section with some extra material thrown in. This for me is a positive, as Reg's posts are always full of wisdom and well-received and have already helped me start improving my drives. Unlike Roadcraft the style is lively, engaging and conversational, and explains concepts very well indeed. The fact the author is not only ex-police but an ex-ADI shines through in the manner of delivery, and it was a pleasure to read. I've been driving in the UK for 29 years, 27 of them after passing the IAM test. Cars and road conditions have changed drastically in that time frame. Reg's book has made me realise that I am an absolute novice and I've started to reassess all my driving techniques and habits. An excellent investment. Highly recommend for anyone with an interest in driving to the highest standards. A very useful and highly entertaining book. Reg obviously has a huge amount of practical experience, but unlike most volumes about this subject, he has made his both interesting and funny. If you are interested in improving your everyday driving, this would be an ideal introduction, perhaps along side the official Roadcraft manual to fill in any gaps. 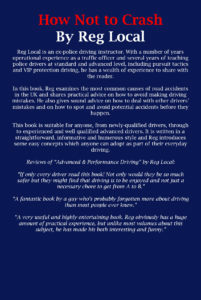 Reg's book in a definite must read if you have an interest in becoming a better driver. I have read a number of editions of Roadcraft, books by John Miles, John Lyon, Peter Amey and many others and Reg's book is right up there with the best and it would be the first book I would recommend to anyone as Reg has such a clear and easy way of explaining things and really takes the enthusiast element back to Advanced driving. 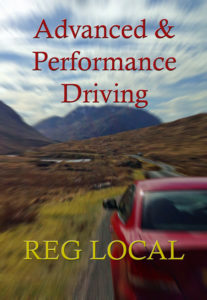 It makes a refreshing change to read on this subject a book that is not laden with dogmatic systems, drills and procedure, instead it focuses on good, enjoyable driving done safely. With Reg's background I am more than confident he is the voice of experience and not just one's opinion. If only every driver read this book! Not only would they be so much safer but they might find that driving is to be enjoyed and not just a necessary chore to get from A to B.
Reg Local's style is authoritative but never patronising. The great thing is that it's clear he's writing from a position of vast personal knowledge and experience and wants to share this with everyone else. Plus (and this is the element that's missing from so many driving manuals) he has a great sense of humour. Whether novice or expert , we're all learning and this book is the best I've found to make the process fun and rewarding. Highly recommended!